Beaver Bungalow is located on the beautiful Olympic Peninsula near Forks, Washington. Centrally located for easy driving access to Hoh Rainforest, Cape Flattery, LaPush, ocean beaches and so much more. You will have half acre of privacy to enjoy with fruits, berries and herbs for you to enjoy when in season. Behind the property are private old growth trails to take a stroll and connect with nature. When was the last time that you sat next to a fire, and saw the stars? 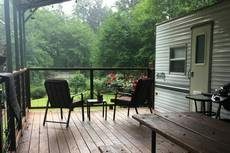 Have you ever sat on an enclosed deck and listen to the rain? Ever walked through the rain forest and enjoy nature? Or you ever seen or heard a bald eagle soar through the air? From it’s start was designed to be quiet and peaceful. We want you to enjoy nature with all the comforts of home.